Content was considered as a part of a great website or blog and it was only used as a tool to put up links for affiliate or anchor text for link building. But things have changed a lot and Content has become the "KING". Platforms along with the audience have become more content oriented. You not only need to be precise with the info you provide for your visitors but also make sure it is well optimized for the search engines to rank them. We are going to do that for you. 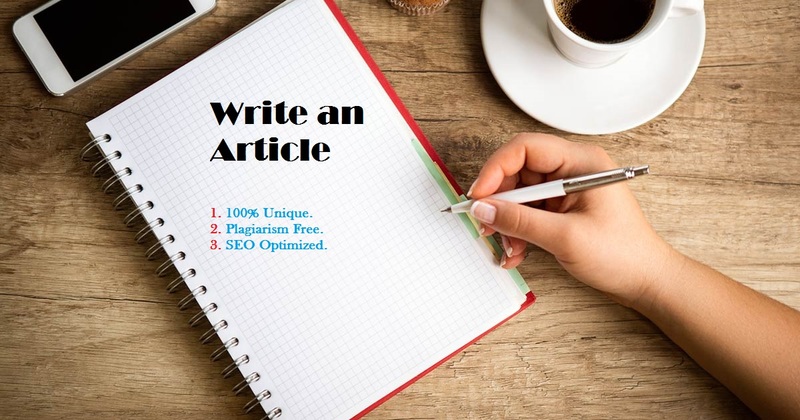 We have professional writers that are not only good at writing blog type articles, but also product reviews, articles on relevant topics, niche based content and many more. Your content writing is handled by experts and is copyscape proof and plagiarism checked. 1. An article of 600+ words along with the title (if not provided by you). 2. 100% Unique and Plagiarism checked content. 3. 2 Revisions if anything is irrelevant or you want to make changes. 4. The content will be OPTIMIZED for the keywords that you mention. There is 9 years of combined experience that our expert writers share among them. The content that you get is not only going to get you visitors, but help retain them and even convert leads to sales. You can always PM for a sample... Satisfaction is Guaranteed!! !